How they Work & How I Prove it? Click Here for: How do they work and how can I prove it? Quantum Mechanics is here: It’s QuantoGram™ Technology! You may have heard of Quantum Mechanics research in many spheres of life. Maybe you became aware of it from watching Brian Cox, a well-known professor of Particle Physics from Manchester University, trying to educate us and popularise the subject on TV and radio. He currently has a traveling show touring around the world presenting to thousands at rock-star type venues. Brian Cox has a great show, but it is really a great tease. Sadly, he is not offering anything practical from Quantum Mechanics at this time. All very well, but there is nothing we can use today. IBM are planning the world’s first Quantum computer by the end of this year. All existing computers (even so-called super computers) can only compute in a binary sequence, which is one digit (0 or 1) at a time, of any equation albeit very quickly. Quantum computers however may soon be able to compute thousands of such computations all at the same time. This will dramatically change the speed and efficiency of computing. 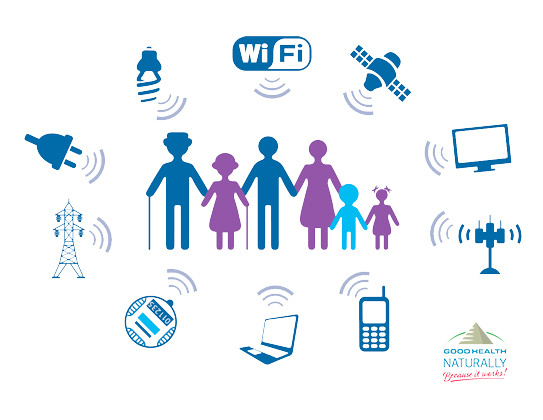 A good example is “weather forecasting.” It currently takes days to compute and accurately predict the effects and outcomes of weather patterns. With a Quantum computer, it may only take a matter of seconds to perform exactly the same function. One day we may even see Quantum computers in our homes or on our wrists, monitoring our health and warning us if our body is being damaged by our lifestyle. All very well, but there is nothing we can use today. Albert Einstein, Tesla, and others started to popularise Quantum Mechanics over the past few hundred years, but it may be that historically intellectual mathematicians, have had some understanding of them for many thousands of years. There is evidence that humans were much further advanced in mathematics than was previously thought. It may even figure in the Old Testament with the words, “So God created man in his own image.” I take this to mean that while the “God Particle” (see below) may have created everything, when it came to humans they are also endowed with the “same intelligence” to understand and manipulate creation, by being creative. Of course, with the power to be creative comes the power to be destructive and humans have demonstrated this throughout history and continue to this day. This creative thinking has permeated mankind for many thousands of years. Some Quantum Physicists are having great difficulty explaining Quantum Mechanics as the research is now going into parallel dimensions, multiple states, and other findings with which most people struggle to comprehend. It is interesting that throughout history, writers have predicted various concepts well before they became a reality. In most cases, the thinking of humans predates the actual event, such as inventions. Recent examples include: While the first patent for a video phone was taken out in 1890, it took a further 100 years, before it was actually created. Leonardo De Vinci invented, a Flying Machine, a Helicopter, a Parachute, a 33-Barreled Organ, an Armoured Car, and many more, but it was another 400 to 500 years before they were built. 2,500 years ago, Aristotle and others calculated that the earth was round, but this was still being denied by the authorities as recently as 400 years ago. 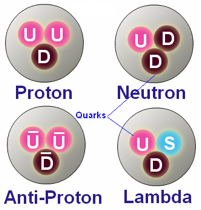 Quantum researchers are said to have noted that Quark particles (which are the building blocks of sub atomic proton and neutrons) respond to being simply observed by a human, by acting differently than if they were not being observed. It is as though humans have a “connection” with these energy particles which are the very basis of all life. Not surprising, really, since we are also made out of the very same particles of energy. It could be said that we are 100 percent energy particles, and if our thinking affects our energy particles, then our positive thinking may affect our future. This is called thinking with intent — not wanting with intent. We can now understand the science behind appropriate thinking. So, where are the inventions from all of this research into Quantum Mechanics? Over the coming months and years, you are going to be made aware of many new products based on what we are calling QuantoGram Technologies. They are created in the form of mathematical equations embedded into Quantum Holograms which influence the subatomic particles of matter. Every equation is calculated for a specific situation. The equation, having been embedded into a hologram, is then placed next to or on to the appropriate matter to effect change. QuantoGram PCD Pure Combustion Device. This is a hologram used to change the subatomic structure of the toxins in fuel to make it burn cleaner and more efficiently. This is now available for use on cars, trucks, oil boilers, gas boilers, etc., and particularly of interest — diesel vehicles. Benefits include: a lower fuel bill, higher performance and may reduce emissions,. After recognizing that London has a major air pollution problem, with diesel exhaust being a primary contributor, the London Assembly Environment Committee set out to find a solution.3 London has been considered among one of the most polluted cities in Europe. This air pollution has been linked to low birth weight, heart and lung diseases, brain aging, stroke, and cancer. Bearing this in mind, the committee, unsurprisingly, recommended that the Mayor of London continue to actively promote very low emission technologies for heavy, diesel-fueled vehicles. Quantum physics comes into play yet again. A QuantoGram PCD can help to improve the fuel structure of petrol and diesel, increasing the efficiency of any fuel-burning internal combustion engine. By pre-treating fuel exhaust emissions, which contain 78 chemicals, the QuantoGram PCD burns and may neutralize trace toxins before they are released as harmful air pollutants. As a result, the air is cleaner. 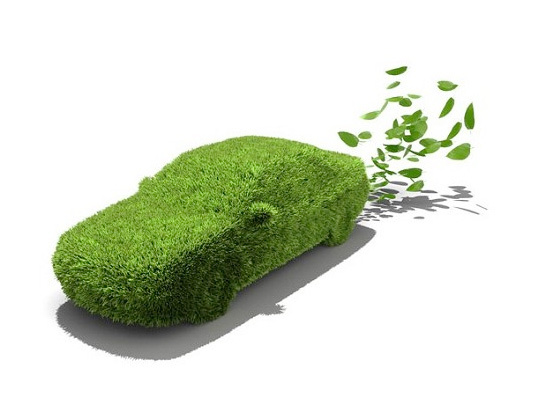 More of the fuel in the tank is consumed Therefore, fewer pollutants are emitted and fuel economy is improved. Have you ever sung a note or participated in a choir? In 2017, Queen Mary University of London researchers explained that Quantum physics works a lot like vibrato.4 Vibrato, where the voice oscillates up and down, is a beautiful expression of sound. This distinct sound that has brought many a listener to tears cycles quickly – at 4-8 cycles per second. Musical signals have origins in Quantum physics with some differences. Researchers are using this universal expression of sound to better study the universe. Examining the mechanics of music, scientists say, can provide insight into both nuclear magnetic resonance and molecular dynamics. There is another particle named after a scientist called Higgs and is known as the Higgs Boson particle.2 The other popular name for this particle is the God Particle. Some think this is the intelligent particle, which creates mass and has therefore created all matter from these 12 particles of energy. Understanding what makes up the fibre of the universe can lead to technological advancements like those of which we’ve only dreamed. 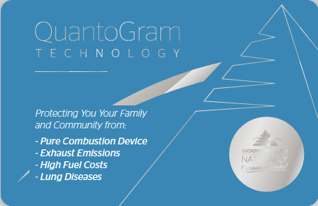 Already, QuantoGram Technologies, which utilize Quantum physics are providing benefits to lower vehicle fuel emissions; protect against electromagnetic frequencies and electromagnetic radiation found in mobile devices, laptops, Wi-Fi routers, cell phone towers, cordless phones, and more; and buffer electrical smog pollution throughout a household. 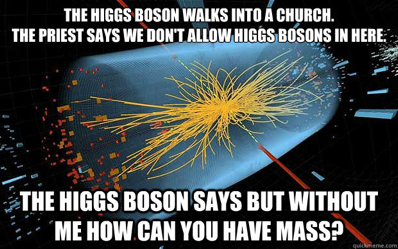 Unless someone discovers better evidence, I am sticking with the God Particle as my creator. Arne Laucht, Rachpon Kalra, Stephanie Simmons, Juan P. Dehollain, Juha T. Muhonen, Fahd A. Mohiyaddin, Solomon Freer, Fay E. Hudson, Kohei M. Itoh, David N. Jamieson, Jeffrey C. McCallum, Andrew S. Dzurak, A. Morello. A dressed spin qubit in silicon. Nature Nanotechnology, 2016; DOI: 10.1038/nnano.2016.178. Juan García-Bellido, Javier Rubio, Mikhail Shaposhnikov, Daniel Zenhäusern. Higgs-Dilaton Cosmology: From the Early to the Late Universe. arXiv, 2011. “Driving away from diesel. Reducing air pollution from diesel vehicles.” London Assembly Environment Committee. Luwei Yang, Khalid Z. Rajab, Elaine Chew. The filter diagonalisation method for music signal analysis: frame-wise vibrato detection and estimation. Journal of Mathematics and Music, 2017; 1 DOI: 10.1080/17459737.2016.1263897. Briggs GAD, Butterfield JN, Zeilinger A. The Oxford Questions on the foundations of Quantum physics. Proceedings Mathematical, Physical, and Engineering Sciences / The Royal Society. 2013;469(2157):20130299. doi:10.1098/rspa.2013.0299. David J. Christle, Paul V. Klimov, Charles F. de las Casas, Krisztián Szász, Viktor Ivády, Valdas Jokubavicius, Jawad Ul Hassan, Mikael Syväjärvi, William F. Koehl, Takeshi Ohshima, Nguyen T. Son, Erik Janzén, Ádám Gali, David D. Awschalom. Isolated Spin Qubits in SiC with a High-Fidelity Infrared Spin-to-Photon Interface. Physical Review X, 2017; 7 (2) DOI: 10.1103/PhysRevX.7.021046. Kleppner D, Jackiw R. One hundred years of Quantum physics. 2000 Aug 11;289(5481):893-8. PubMed PMID: 17839156. Copyright © 2017 Good Health Naturally Inc.